Source: Received as a cutting from W.T. Swingle, USDA, 06/1924. EMN, 11/21/1988: See many notes on CRC 301, Rusk, accession card. This and CRC 301 appear to be identical; why keep both?
" 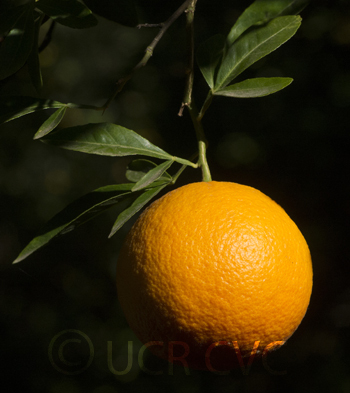 Fruit rather small, oblate to spherical; smooth and virtually glabrous; color deep orange with reddish flush. 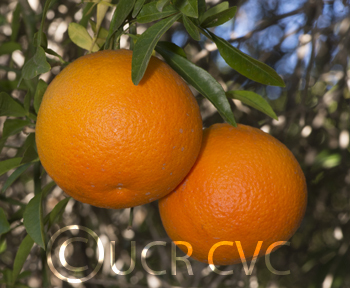 Rind thin and tightly adherent; segments about 10. 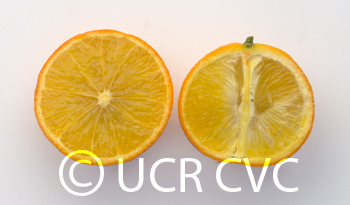 Flesh color orange-yellow; very juicy; flavor sprightly acid and only slightly bitter. Seeds few and highly polyembryonic. Early in maturity. 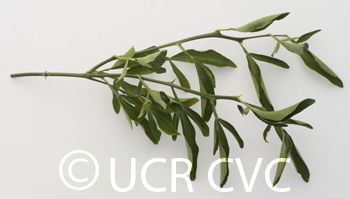 Tree vigorous, tall-growing, productive, and hardy; foliage evergreen to semi-deciduous and dense, consisting of moderately large trifoliolate leaves. 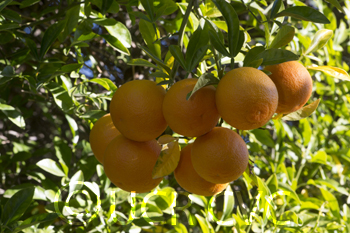 Rusk, a Ruby orange and trifoliata hybrid, is one of the oldest citranges, having been created by Swingle in 1897 and described and released in 1905 (Webber and Swingle). It was named in honor of J. M. Rusk, the first Secretary of Agriculture of the United States. The tree is an attractive ornamental and the fruit is juicy and approaches edibility more closely than most citranges. 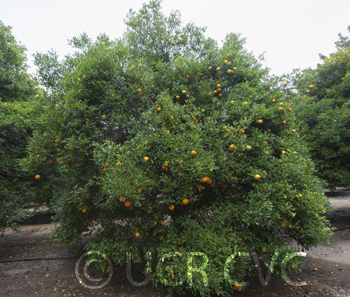 Its low seed content mitigates against use as a rootstock. Rusk is currently of greatest interest and importance in Florida. "